Though it’s late but as it is said, better late than never, so finally here's my post for the Kose-Indi meet. This is being held almost after long gap of nine months. As usual Indiblogger meet are fun-filled, sheer craziness with fellow blogger not a single moment of boredom one can have there. 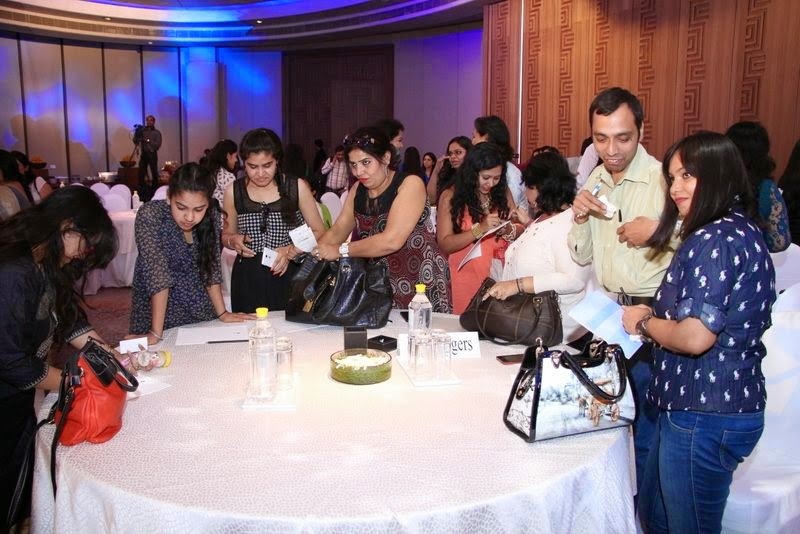 This meet was specially organised for female and fashion bloggers, though as a special invite few exclusive male bloggers like – Mr. Khanduja, Rahul Prabhakar, Dr. Manoj Dubey, Shwetabh Mathur were also invited. 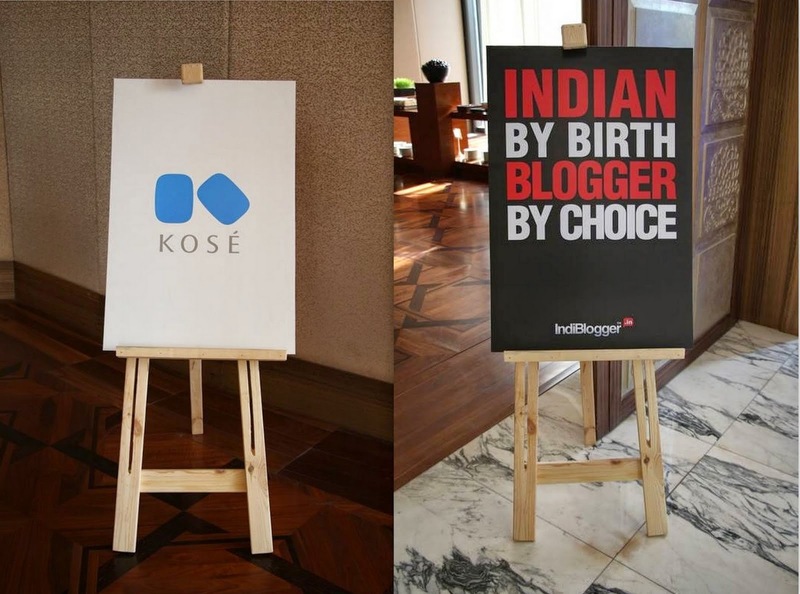 It was all about meeting fellow bloggers, delicious food, few drinks, non-stop chit-chatting and of course KOSE... & KOSE! Because of prior professional commitment on the same day, I started from Pritampura (North-West Delhi) at 4:00 pm. considering my mode of transport (Metro) the fastest available mode at that time; I reached at the venue, Hyatt Regency, New Delhi around 5.45 pm. 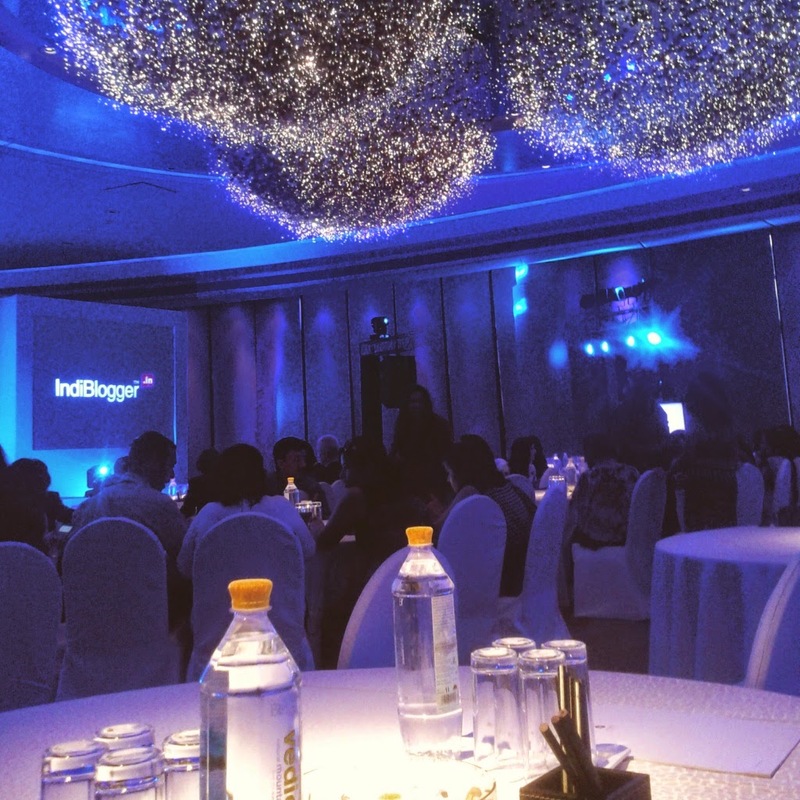 As I entered the hotel thereafter started the main hurdle to find out the exact venue in inside the huge The Hyatt Regency, New Delhi. As with the help of few internal employees and phone calls to my fellow blogger ‘Shwetabh Mather’ I manage to reach the right place. I saw some people were registering for the meet, few known ones (Shwetabh, Rahul Prabhakar and Priyanka Dey) were having coffee and others were just networking. Bloggers actively and enthusiastically participated and had a great time socializing with like-minded people who share the same passion for writing. After the registration as I turned around found always energized Indi core team members Vineet and Karthik, pleasantries (in a form of friendly hug) were exchanged with both of them. Then we all headed inside the ball room area for the meet to start. And it started with our very own favourite Anoop his great words which in turn floated the fun, laughter all across the hall. We all were asked to do an activity. The activity was to collect anything personal from the other fellow bloggers and the twist was they cannot return it, isn't it an interesting way to mingle with others fellow bloggers. 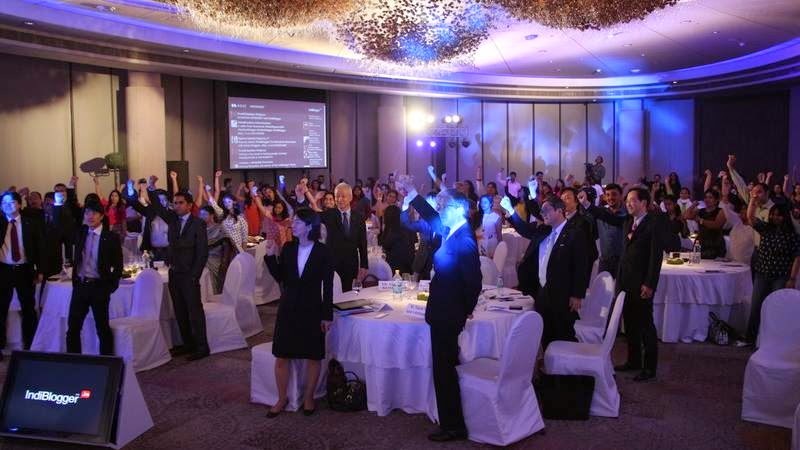 Well, I am amazed how do these guys (Indi Core Team) always find such new and amazing ways to engage and entertain us moreover manage to never have a dull moment. Kudos to Indi Team. Well, I managed to collect 10 personal items. After this the second activity which followed was our all time favourite number game which is another way to introduce yourself to everyone present there. 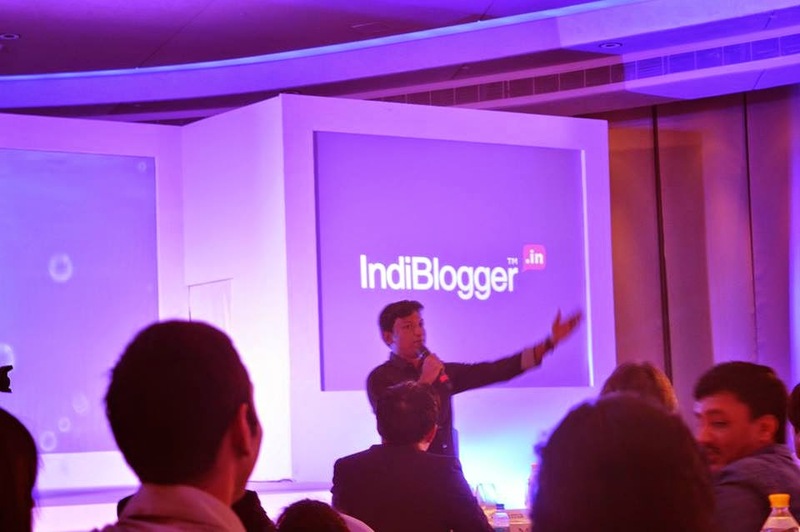 I also got a chance to talk about myself, my blog and my experience with Indiblogger in '30 seconds of fame'. After all these activities, an eloquent introduction about the company was given by the Team KOSÉ. Here's a little about the company - Kosé is a Japan based cosmetic and beauty brand famous all across the world. It's a 40 years old skincare company and biggest one in Japan with over 450 billion yen market value. They are the one who introduced first beauty serum in 1975 and also the proud inventors of first powder foundation in the year 1976. After 3 years of research and many surveys on getting to know the requirements of Indians, they launched SPAWAKE. 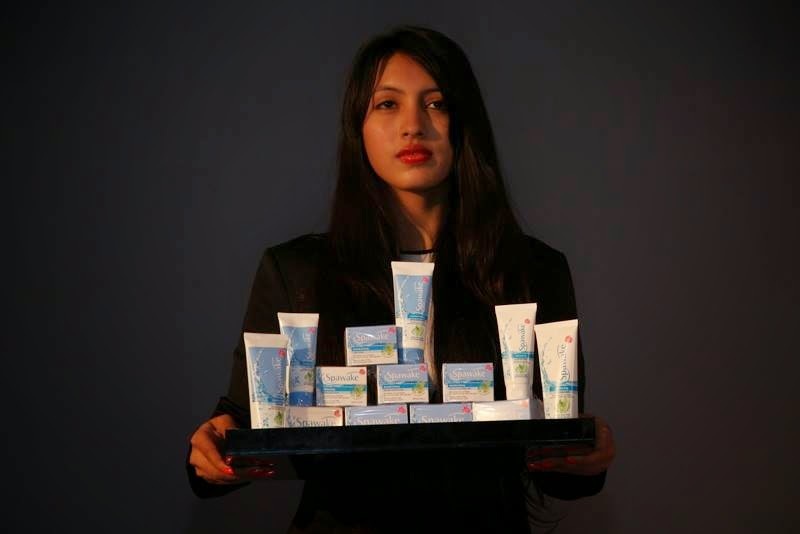 This range does not have any fruits extracts or harsh chemicals. As of now their product line include face wash, face mask, scrub, fairness cream for day and night and a fairness gel. After all this information was shared, the face of the product i.e. the brand ambassador of Kosé India was revealed. 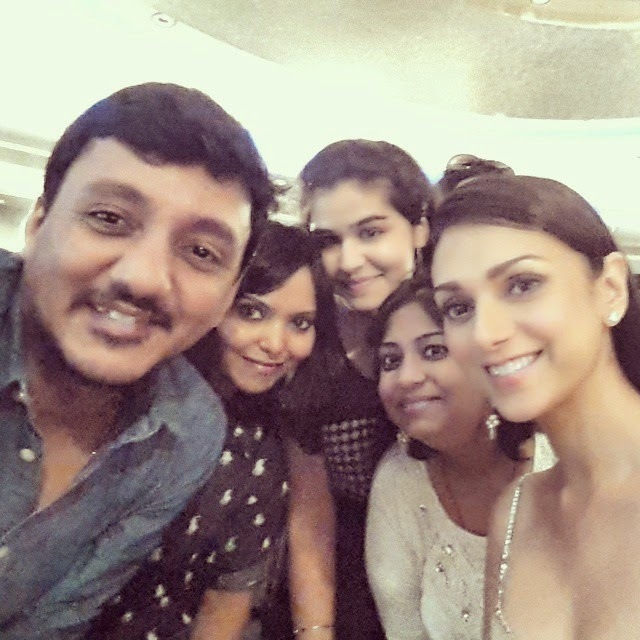 It is Bollywood's one of the talented and gorgeous actress Aditi Rao Hydari. She was wearing a long sequin gown and was looking beautiful and stunning. 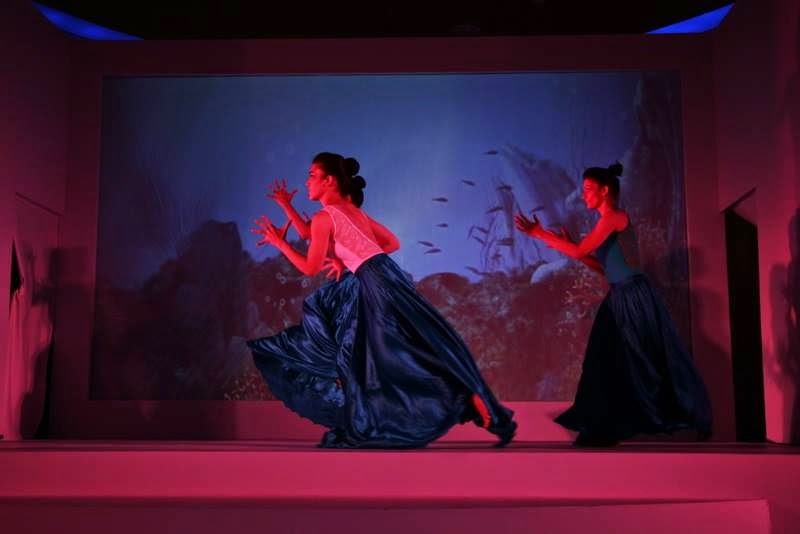 She praised the product and also talked about the underwater shoot for the advertisement. Since the arrival of actress Aditi Rao Hydari, Rahul Prabhakar was so mesmerized with her as he was all throughout was talking about her only. Even though the presentation from Kose team was still on but me and Rahul took liberty and went ahead to actress Aditi Rao Hydari asking her permission to click on selfie with her to which she promised to do after the presentation got over. 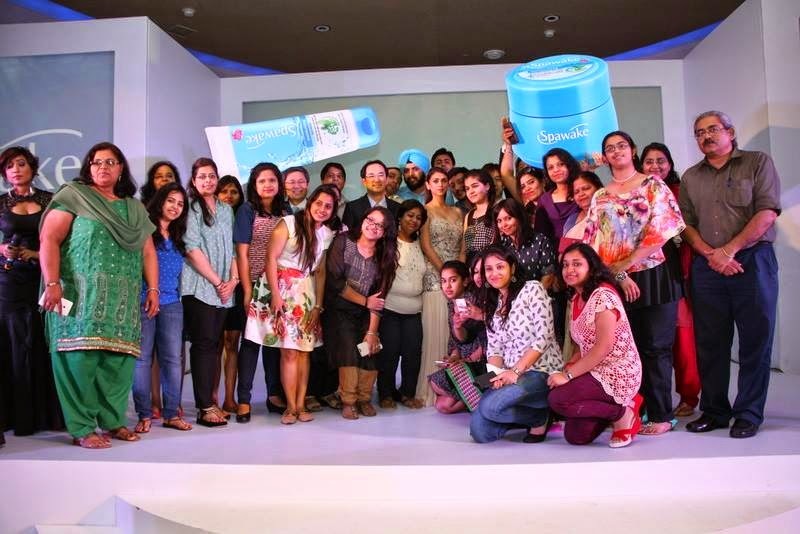 Then we had a chance to talk to the Kosé team and Aditi Rao Hydari where they answered all the questions bloggers asked them. Later there was a musical event. 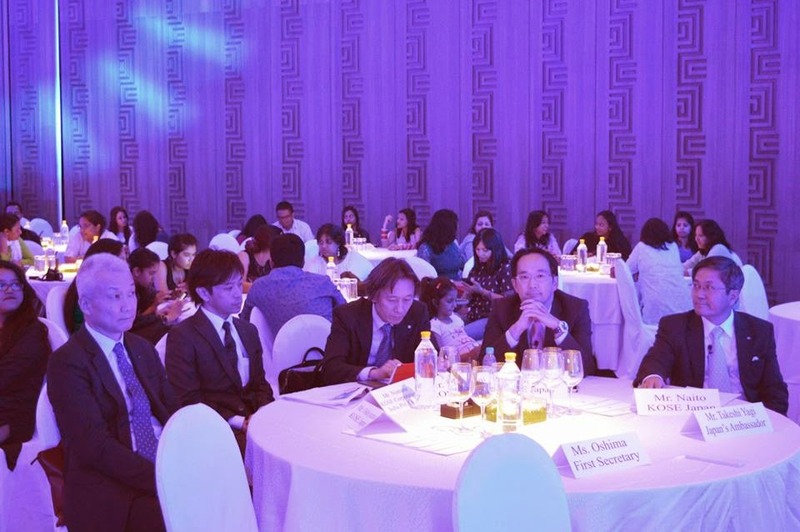 Around 9 the dinner was served, the hall was filled with the aroma of different delicacies, sound of glasses clinking, people cheered and happy faces all around. 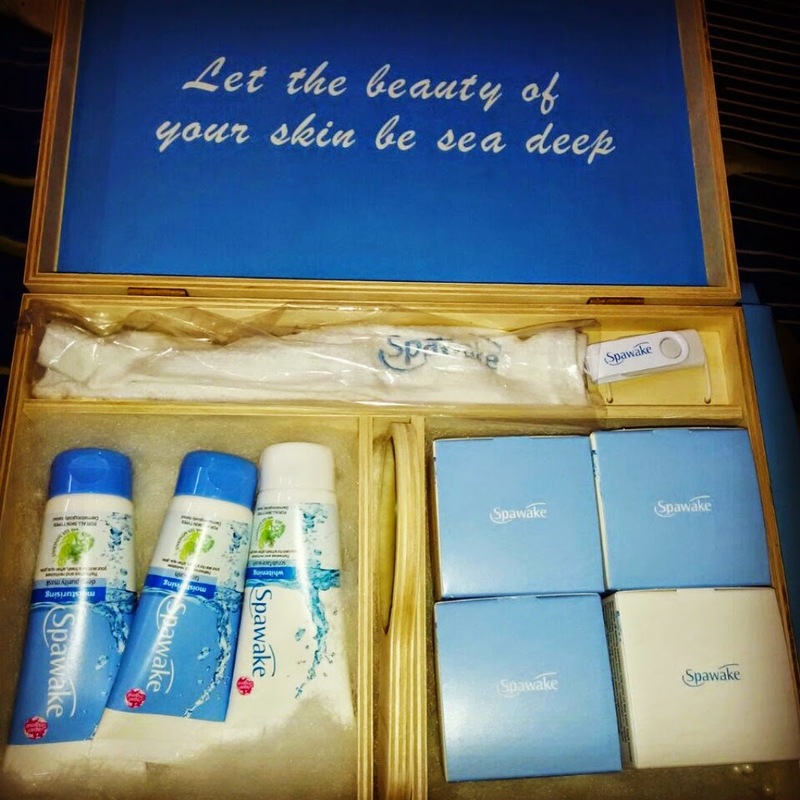 We all also got a gift hamper from the team Kosé, which includes a huge wooden box and it has all the Spawake products that they have launched and it also has a small hand towel, a hand-mirror and an 8GB pen drive. Isn't it awesome? 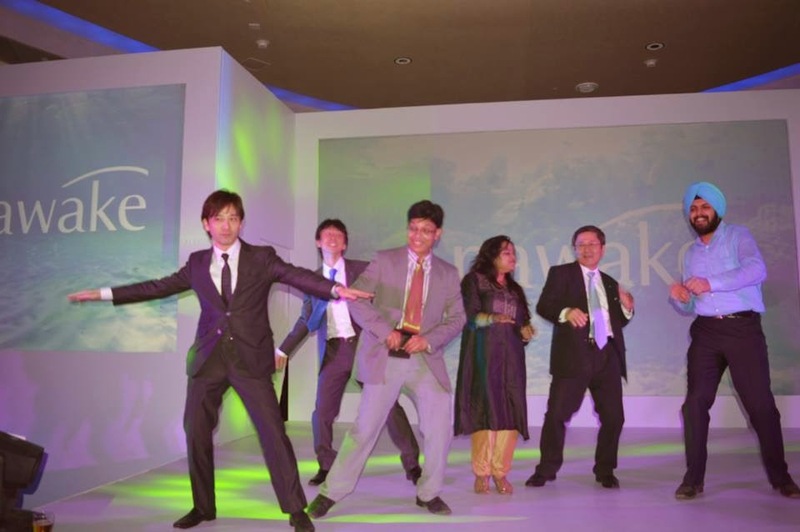 While we all were having food the music in the background was so peppy and foot tapping that it was encouraging many of us to start dancing and finally with the green signal from Vineet me, Simarjeet, Dr. Manoj Dubey and Priyanka Dey we hit the stage to top it up we even dragged along the Kose team members to shake a leg with us! The crazy fun and masti was all around but then I had to leave as I opted for the indi bus service for my drop to home. Hence leaving all of them I head to exit, where again I met Vineet who asked me if I am going via Indi bus and on which route as I informed him about my route he immediately called Karthik and other members to inform and hold back the bus. In the lobby area I found Karthik who guided me to the bus which was going towards my location. It is really amazing thing how the whole Indi team manages everything from meets to activities and then the tedious task of drop out routes (Even though they are not very well versed with Delhi routes). The Indi bus route was again planned very well this time also only thing was, there was one new blogger from Sarita Vihar, Delhi who came for the first time to Indi meet and even she was new in Delhi. She was accommodated in this route to which few other were not happy and they started created fuss as they wanted the bus to go directly towards Mayur Vihar Extension first then to any other places they were completely uncooperative and stubborn after a lot of discussion finally the bus moved but there was more to come as the bus developed a snag and as a result the bus now could not moved beyond the speed of 30kmph and worst was driver was not aware with routes. The first drop as decided was at Sarita Vihar after which these girls from Mayur Vihar Extension got adamant to take the bus to Mayur Vihar first and not following the rest of the route. We all had major argument but all in vain and the bus took u-turn to go to Mayur Vihar first. Above all when we reached near Mayur Vihar Extension we all discovered that instead of taking a drop at home these girls got down on main road as there was someone to pick them. To make the long story short my purpose writing this long description here is, if we are given some comfort for our safety and security we should understand that and should not take disadvantage of it. We talk about so much but when it comes to be cooperative and human we forget that. Anyhow coming back to my Kose meet experience and to conclude next day I tried their products, they were very light on the skin and to be very honest I really like the face wash, it's non lathering and because it has seaweeds, it gives a very fresh feel. It is definitely worth to give it a try. 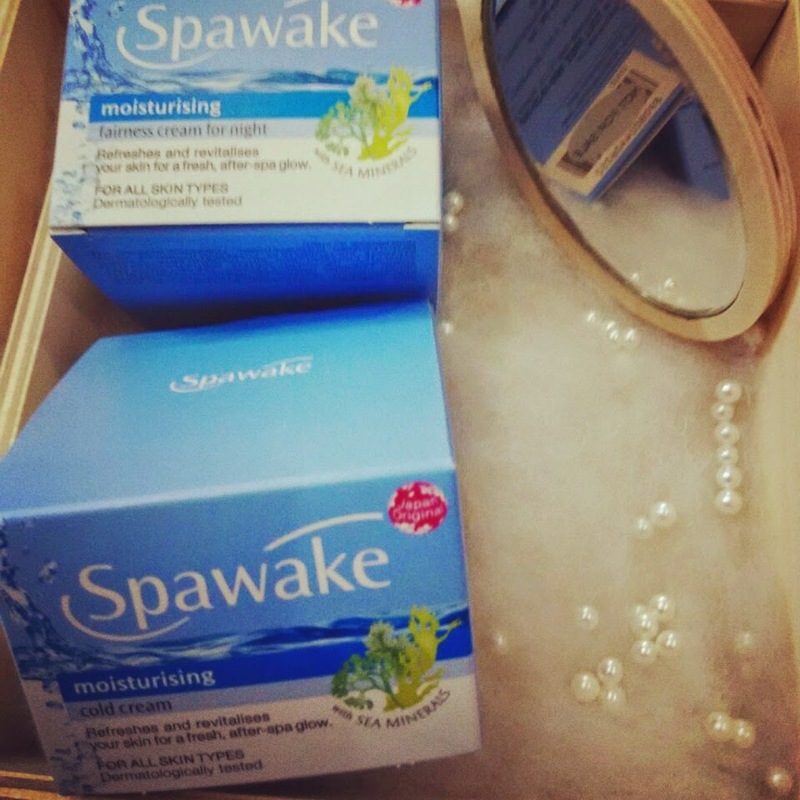 As Myntra is their official digital partner, you can buy SPAWAKE range from there online. All the officials of Team Kosé.